With the start of the new year, the Alabama Center for the Arts is hosting a new exhibition entitled 3 Women 3 Media. The show will be featured in the Center's main gallery and will be on exhibition now until February 14. The Alabama Center for the Arts is located at 133 end Ave. NE in Decatur. Gallery hours are Monday-Thursday, 8:00am to 7:30pm, and Friday 8:00am to noon. 3 Women 3 Media features ceramicist Carolyn Wass, painter/mixed media artist Gina Perciful, and printmaker Rachel Lackey. A reception is planned for Thursday, January, 23, 2014 beginning at 5:30pm with an informal gallery talk with the artists at 6:30pm. The Alabama Center for the Arts represents a collaborative program in art between Athens State University and Calhoun Community College. College coursework taught at the facility will lead to Associate of Science and Bachelor of Arts degrees with class offerings that include art appreciation, painting, drawing, computer graphics, sculpture, ceramics, pottery and a teaching major leading to licensure for art instructors. THE CLASSIC FILM WITH ON-SCREEN LYRICS SO EVERYONE CAN JOIN IN. IT'S THE ONE THAT YOU WANT! The evening begins with your host leading a vocal warm-up before they show you how to use your free goody bag. You’ll even get a chance to learn how to hand jive. 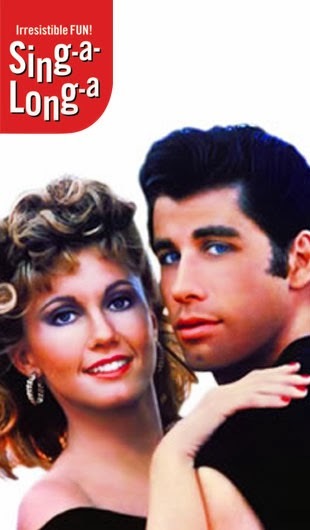 Then just sit back and watch Danny & Sandy and the gang, while singing and dancing along to the lyrics as shown on the screen. It couldn't be easier… or more fun! Dressing up is strongly encouraged and full audience participation essential. A day of nature walks, live raptors, and refuge tours is planned when the Wheeler National Wildlife Refuge holds the second annual Festival of the Cranes. 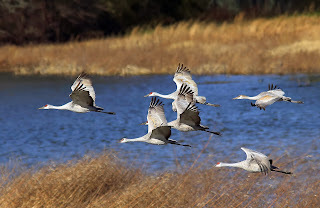 Set for January 11, 2014, the celebration of Sandhill Cranes and Whooping Cranes will bring together experienced birders and those who would like to learn more about birding and other wildlife that call the Refuge home. Over 12,000 Sandhill Cranes along with several pairs of Whooping Cranes spend the winter each year at Wheeler National Wildlife Refuge. Hosted by the Wheeler Wildlife Refuge Association, the Festival of the Cranes kicks off at 6 a.m. with a Sunrise Breakfast in the Visitor Center classroom. Following breakfast, Refuge Manager Dwight Cooley will lead an early morning birding walk to see cranes and other waterfowl arrive in the fields to begin their day of feeding and loafing. Breakfast cost is $5 per person and participants are encouraged to wear comfortable walking shoes and to bring binoculars and a camera. Throughout the day, the enclosed Wildlife Observation Building will offer views of thousands of Sandhill Cranes, along with Whooping Cranes, ducks, geese, raptors, and maybe a bald eagle. There will be bleachers and spotting scopes available along with volunteers and staff members on hand to answer questions. At 10:15 a.m. and 2:15 p.m., Joan Garland, education outreach coordinator for the International Crane Foundation, will speak on the efforts to restore a migratory flock of Whopping cranes to eastern North America. The Whooping crane is on the verge of a comeback after nearly becoming extinct due to human activities. In 1941, the last migratory flock was reduced to only 16 birds. Additional activities include two showings of Hope Takes Wing, a film by and about Operation Migration chronicling the history of the Whooping crane, and two presentations by the Auburn University’s Southeastern Raptor Center to teach about birds of prey and offer an up-close look at owls, hawks, falcons, and eagles. From 11 a.m. to 1 p.m., there will be a pizza lunch with proceeds benefitting the Wheeler Wildlife Refuge Association. The daylong event concludes at 5 p.m. The Wheeler National Wildlife Refuge Visitor Center is located at 3121 Visitor Center Road in Decatur. For more information on the Festival of the Cranes, visit www.friendsofwheelerrefuge.org or call Teresa Adams, supervisory ranger for Wheeler National Wildlife Refuge, at 256.350.6639. Wheeler National Wildlife Refuge was established on July 7, 1938 by Executive Order of President Franklin D. Roosevelt as the first National Wildlife Refuge placed on a multi-purpose reservoir to provide habitat for wintering and migrating birds. Covering 35,000 acres, it attracts thousands of wintering waterfowl each year and is home to Alabama’s largest wintering duck population. The Refuge also supports the state’s largest concentration of Sandhill Cranes. The 75th Anniversary Celebration featuring live raptors and wildlife, children’s activities, and special guest and master of ceremonies “T.R. Roosevelt” as portrayed by Joe Wiegand, is set for December 7, 2013. For more information on Wheeler National Wildlife Refuge, visit www.fws.gov/wheeler. The rattling trill of noise was baffling as I walked across the parking lot at the Wheeler National Wildlife Refuge near Decatur recently to celebrate its 75th anniversary. Because I hadn’t visited the refuge in winter, I didn’t realize what all that noise was until the trill with a goose-like finish started getting louder and louder. I looked in the gray skies and the mystery was solved. It was a group of six cranes floating lazily in the north wind, headed for an agricultural field for a mid-morning snack. “Whooping cranes?” I asked one of the rangers. Indeed, the back field was filled with cranes, mostly the red-capped sandhill variety. The white whooping cranes, an endangered species, were easy to spot. The crane population is only one aspect of the mission for Wheeler National Wildlife Refuge (NWR), which provides food and rest for a vast variety of bird and waterfowl species that use the Tennessee River valley as wintering habitat. “We average at peak in the winter between 60,000 and 75,000 ducks on the refuge,” said Wheeler NWR manager Dwight Cooley. “Almost without exception, mallards are the No. 1 waterfowl species we winter here. There has been a bit of change over the last 20 years. Gadwalls are our second highest number of birds that winter here. At one time, the American wigeon was second. While no waterfowl hunting is allowed on the 35,000-acre Wheeler NWR, Cooley said the refuge’s wintering habitat makes the hunting better throughout the state. “The fact that the refuge attracts the largest number of ducks in the state, even though we don’t hunt the refuge, I think the surrounding areas see a lot of benefits in the waterfowl hunting throughout the Tennessee Valley,” he said. When President Franklin Delano Roosevelt signed the executive order to establish the refuge in 1938, Cooley said it was a time when the United States was trying to “tame” the Tennessee River. “It was also a time of concern about waterfowl populations and breeding habitat in particular,” said Cooley, who has been the manager at Wheeler for 16 years. “It was really viewed as an experiment to see if wildlife could be managed in these newly developed deep-water reservoirs in north Alabama. This is a long, almost riparian type of refuge. It’s 20 miles long. It was part of the land acquired by the Tennessee Valley Authority (TVA) for buffers and flowage easements when Wheeler Dam was constructed in 1936. Cooley said although the NWR system is in a period of tight budgets, the primary missions will be continued. “For here, our priorities are waterfowl and endangered species,” he said. “We will provide recreational opportunities for residents. And we’ll provide conservation and environmental education for the public. The City of Huntsville brings every student in the fifth grade over here every year and uses the visitor center and observation area for their conservation and education classes. Like most everything, Cooley said the effort to enhance the waterfowl habitat at the refuge has been trial and error and has significantly evolved over the years. “When it started, the work was primarily in the deep-water habitats in the reservoir itself with suitable plant species,” he said. “It didn’t work very well because of the depth of the water and raising and lowering of the water levels from summer to winter pools. That also involved electricity production, flood control and, early on, mosquito control. The habitat improvement eventually included water-control structures in the lowland areas to control the water levels to help in the planting of native vegetation with good seed production as well as row crops around the edges of the areas. Celebrating its 75th year of existence was a lesson in persistence. The government shutdown forced the original anniversary celebration to be rescheduled. Then Mother Nature decided to send a winter blast through north Alabama for the rescheduled date of Dec. 7. Because of the weather forecast, a variety of outdoors components to the celebration were canceled. The remainder of the events was held inside the visitor center just off Highway 67. 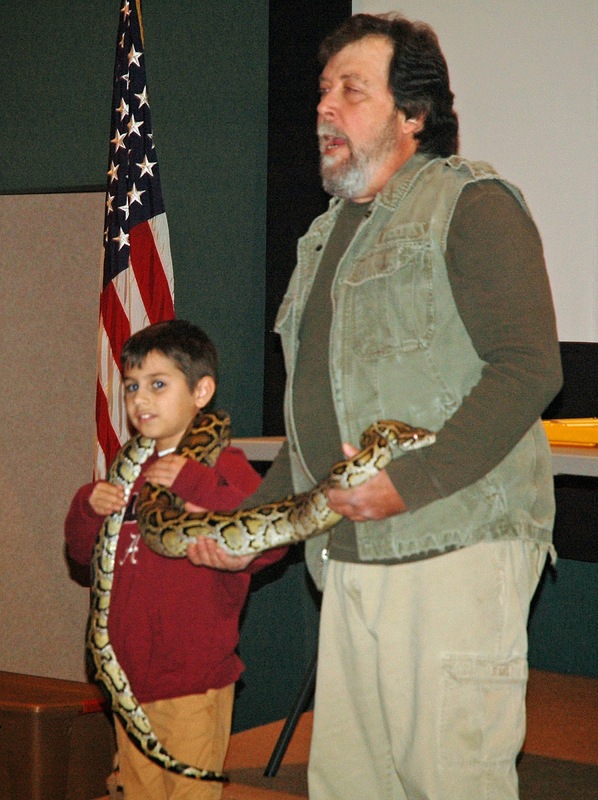 Despite a long journey in bad winter weather, Larry and Cheryl Battson, founders of Wildlife Educational Services, made it to Decatur in time to present their live wildlife program at the celebration with a variety of native and exotic animals. The Teddy Roosevelt Show, featuring Joe Wiegand, entertained the audience with his one-man theater show about the life and times of America’s 26th president, who was an avid hunter and explorer. The anniversary celebration isn’t the only big event scheduled for Wheeler NWR. On January 11, 2014, the refuge will celebrate the second annual Festival of the Cranes. The Festival of the Cranes will include nature walks, live raptors and refuge tours. Visitors will get a chance to see some of the more than 12,000 sandhill cranes, along with several pairs of whooping cranes, that winter each year at Wheeler. Hosted by the Wheeler Wildlife Refuge Association, the Festival of the Cranes kicks off at 6 a.m. with a sunrise breakfast in the visitor center classroom. Cooley will then lead an early morning walk to see cranes and other waterfowl as the birds forage in nearby fields. Joan Garland, education outreach coordinator for the International Crane Foundation, will give presentations on efforts to restore a migratory flock of whooping cranes to eastern North America. Additional activities include two showings of Hope Takes Wing, a film by and about Operation Migration on the history of the whooping crane, and two presentations by Auburn University’s Southeastern Raptor Center to teach about birds of prey, including owls, hawks, falcons and eagles. Visit www.fws.gov/wheeler or www.friendsofwheelerrefuge.org for more information on Wheeler National Wildlife Refuge and the Festival of the Cranes. PHOTOS (Cranes courtesy of USFWS, David Rainer) Sandhill cranes by the thousands use Wheeler National Wildlife Refuge near Decatur as wintering grounds because of the habitat and abundance of food. The endangered whooping crane also uses the refuge, which recently held its 75th anniversary celebration. As part of the festivities, the Teddy Roosevelt Show, featuring Joe Weigand, made its way through the crowd during the celebration. Larry and Cherryl Battson also brought several animals from their collection at Wildlife Educational Services, including this boa constrictor, which was so ably (yet tentatively) held by 8-year-old Carson Lemmond of Somerville.